The artist enjoys complete independence from major record labels and it’s no secret about his departure from record giant Universal. “Large record companies have a lot to offer in terms of money and power but artists are confined and they ultimately lose their artistic freedom. The record companies worry about offending the public. There’s little politics in music nowadays as there was when music and art questioned the establishment, as they did in the Punk and New Romantic eras, when artists really pushed the boundaries. Even the last time there was a gay movement in the UK was during the anti-gay legislation of Section 28 in 1988.” (The notorious legislation banning the “promotion” of homosexuality in schools). There’s still homophobia in the UK and record companies are wary to offend the conservative parts of UK society. For Patrick this meant his record company marketing him as the next Elton John. “Politics is pushing the boundaries of sound. My record company said they couldn’t control me and they wanted to get rid of me because I wouldn’t conform. Put it this way, how would you feel if you had a job where you weren’t allowed to quit, yet your boss could fire you and treat you badly if you didn’t conform. This is what happens to musicians all the time; look what happened with Prince.” Patrick was even less impressed with the record companies marketing efforts where they pushed him as a raver or the Village People. “My roots are in Bob Dylan and Jodi Mitchell. I didn’t want to be pigeon holed into being a gay performer just for gay audiences. I have a crossover audience. I sidestepped the stereotypical marketing. But then gay audiences were annoyed that my private life didn’t crossover into the writing and in my public life. They were annoyed I wasn’t Rufus Wainwright. Women love my show, so do straight boys. 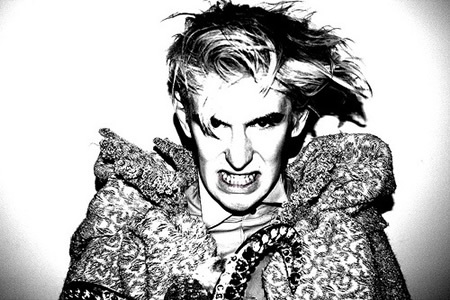 It is completely revolutionary and is undoubtedly Patrick Wolf. Liu’s work has appeared in LA2DAY, Beatcrave, LACityzine, LA.Com, and The Examiner. She is a BA (Hons) Contemporary Media Practice graduate of the University of Westminster in London with more than 15 years industry experience on both sides of the Atlantic.